Facebook (s fb) seems to be making users upset and/or confused again with the way it handles its news feed. A few months ago, it was actor George Takei and billionaire Mark Cuban who were upset with what they saw as changes to the Facebook algorithm that made their content less visible, and this time around it’s New York Times writer Nick Bilton, who complained that his posts haven’t been getting as many likes or shares as they used to. The assumption is that Facebook wants you to pay to get this kind of reach, but regardless of whether that’s what is happening, it still sends a valuable message: you are not in control — Facebook is. Bilton described in a piece for the Bits section of the Times how his posts used to get as many as 50 or even a hundred likes and shares, from users of Facebook who had signed up to get his feed using the network’s relatively new Subscribe feature. But even though the number of users who subscribe has soared from just 25,000 after the feature was launched to almost half a million now, Bilton said that he gets far fewer responses to his posts — sometimes as little as 10 or 15 likes and shares. After paying Facebook to promote his posts, however, that number increased by almost 1,000 percent. I’ve noticed the same kind of phenomenon as Bilton has with my own feed, albeit on a somewhat smaller scale. While Bilton has almost half a million subscribers, I have about 75,000 — but I’ve also found that the content I post is getting a lot less interaction than in the early days of the feature. I haven’t experimented with paying Facebook to promote my posts, but I have no doubt I would see the same kind of increase in activity if I did. That’s kind of the whole point (Facebook is holding a news event on March 7 that could include more changes to the news feed). The conclusion that everyone seems to be jumping to is the same one that Mark Cuban arrived at when he complained in November about the increasing difficulty of reaching his fans on the network: namely, that Facebook is deliberately tuning out (or at least turning down) the signal coming from some users so that it can convince them to use promotional tools like ads and “sponsored stories.” Cuban said he was so irritated by the move that he was diverting almost all of the marketing budget from his various brands away from Facebook to Twitter and other platforms. 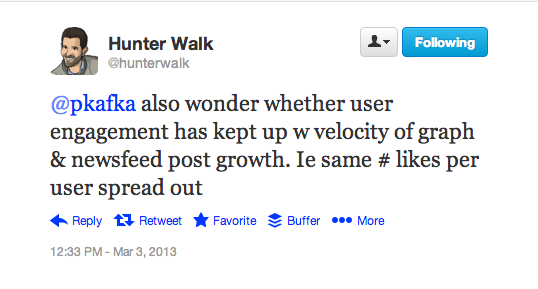 It’s worth noting that former YouTube (s goog) executive-turned-venture-capitalist Hunter Walk came up with some alternate theories about why Bilton and others might have seen a dropoff in their likes and shares, including the fact that some of the followers and subscribers that boosted those numbers were spam accounts or bots who have lost interest. I certainly noticed after the “Subscribe” feature launched that I got a lot of spammy responses as well as likes and shares, and those have died down as well. In that sense, decreasing the amount of activity would actually qualify as a good thing. Zach Seward of Quartz had another theory that I also think has a lot of merit: in a comment on Walk’s post, he noted that Facebook often devotes a substantial amount of energy to promoting its new features — such as the subscription offering, as well as the “social newsreader” offerings that were launched by a number of newspapers such as The Guardian and the Washington Post. But after a certain time, the network almost always tweaks the ranking algorithm so that these new features are downplayed relative to when they were launched, which often causes problems for those who relied on them. The bottom line, of course, is that there is no real way for anyone to know why Facebook’s algorithm behaves the way it does, any more than it’s possible for us to know why certain pages rank high in Google. They are both a black box, and the way they function is a mystery. As I tried to point out to Cuban, Facebook is entitled to do whatever it wants with your news feed, including using it to convince you to pay for promotional tools, because it owns your news feed — not you. It’s good to be reminded of that sometimes. We have stopped all of our Facebook spend as a company, we have to triple our spend now compared to what we did 5 months ago to get the same reach. A lot of people are not getting to see personal posts either it all seems like Facebook is a big money scam to me! Also I went to email someone the other day who I was not friends with at the time and it tried to charge me to send an email to their inbox. Yuck! TL;DR everybody – stop whining! Yes, they are very much like Google in their information analysis. Everything we do makes them smarter about the whole thing. They give back a % of that, and use the other % to develop products. We have employed an approach that means we only promote posts for customers when posts have a certain level of organic engagement. We run their FB insights data through an algorithm to establish a benchmark. We call exceeding this benchmark “social validation” i.e. to be interesting at least to that portion of a pages fan base that see the post as earned media; Only then when or if it breaches a threshold of engagement that is well above the average do we convert it into paid media. So there is a curated by the crowd nature to the promoted content. You can learn more on http://propelad.com if interested. While I believe there to be merit to this article, there are a few missing/confusing aspects. 1.) Facebook has increased the amount of promoted posts that can appear in a persons news feed. As such, there is a rise in the amount of “air-time” paid posts get which in turn leads to higher engagement totals for these posts. 2.) I think the comparisons between Facebook and Google need to stop. To compare the Google’s algorithm for page rank and Facebook’s distribution of posts is apples and oranges. Sure, both platforms have best practices, but Google offers TONS of resources on SEO and companies and sites implement these every day with positive results. The playing field with Google is far clearer and the rules more apparent. With Facebook, this is simply not the case. Just out of interest, I scraped all of your gigaom stories and made API calls on them, measuring total FB interaction. 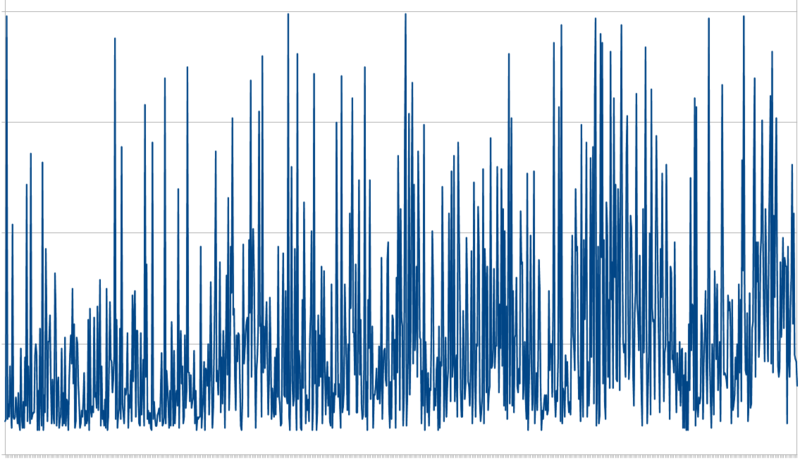 This is the trend from 08 to now (excluding outliers… roughly-ish). Granted, that’s total interaction for each article, not interaction from posts on a specific page. You can’t draw a lot of conclusions from that graph, but it provides some context at the bare minimum. Your boost from FB is rising, and I suspect Bilton’s is too. That is more important than interaction on specific posts on specific pages. In terms of the newsfeed algorithm in particular, I’m on FB’s side here. Yes you can pay to spam people’s feed’s, but if you’re not paying and get lower exposure it’s not ‘unfair’, it’s just normal. When you’re addicted to it, you’re dominated… whatever things they are. It is obvious that FB is trying to find new ways to generate money and decrease the amount of spam/bots that are part of the community. While it might urk some users, especially Mark Cuban, do they give their services away for free? Obviously not, so why should they expect a platform like Facebook and Google to? The reason most people don’t engage with brand content on Facebook is because the content the brands are pushing is nothing they’d want to engage with. It’s far easier for content managers to blame Facebook than their own inability to create engaging material. Those who are generating tons of engaging (think PepsiCo) must be shaking their heads in wonder at the ease with which their peers shift the blame. I think brands and entities should have to pay to get out to their fans. Facebook shouldn’t be a free tool for brands to advertise. You’re lucky that you even have an avenue to reach out to at least a portion of your fans. Sure Zuck wants to create an open and connected world, but he also needs to make money. Like Google who make most of their money from ads, Facebook needs something similar. 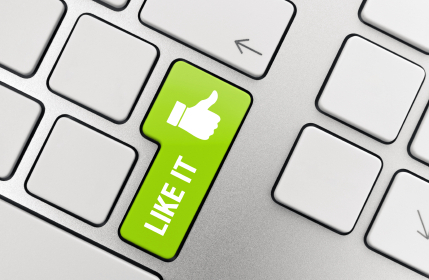 More and more brands are getting on Facebook, and each one is trying to go after their fans. The average user follows many brands. It’s a battle for who shows up in feeds. That’s where your advertising dollars help. Well the ongoing theme here is if your priority is to own your audience (and how you interact with them) then you need to actually own them. The only way to do that is with a carefully managed email subscribership. The social feeds are a nice add on but they never stick permanently to any format and are always subject to change (a lot of it unpopular). And why do they change? Because they are still trying to deliver as profit centers. And the social media genre is proving itself to be a very clumsy platform for this sort of thing. Easy to get users. Hard to incentivize them to pay. Wait, what? Did I just read that in the year 2013? It’s called edge-rank and SEO. Every time Google unveils a new update to its ranking algorithim, thousands of website owners and SEO experimenters from around the world gather on online to compile their data, posit their various hypotheses and unravel the code available to them to painstakingly deduce why certain pages rank higher than others. The same process applies for Facebook edgerank. I was kind of stunned to read this article and not hear it mentioned once in lieu of it being referred to as some “mysterious mythical force without a name”. This is 2013, phrases like “black box” and “mystery” may have been how people spoke about the shape of the earth in the dark ages… but they’re not how online SEO/digital experts talk about SEO and edgerank these days. Thanks, Jordan — I do know that EdgeRank and PageRank exist, and that there are legions of those practiced in the dark arts of optimizing them. But the reality is that no one outside those companies knows exactly how or why these algorithms change. You do realize that what you just described is pretty much the definition of a black box device, right? You don’t know what is really happening inside the box so you start feeding things in and comparing what you get out. Feed it enough information and you can get a fairly decent idea of how it will respond the majority of the time, but you still really don’t know what is going on inside the black box. All that you know is what you feed in and what you get out and you get out. My girlfriend and I are mutual FB friends with another person. Looking at this person’s FB page, my girlfriend sees more posts than I do. Another friend of mine, I commented on one of his FB posts but later couldn’t find it again my stream. Going to his FB page, it still wasn’t there. I found the post by opening a link to it in a notification I received that someone else had commented after I did, but otherwise the post had vanished for me. Sure, FB can do what it wants. But if users want to see posts from entities they subscribe to or follow or friend, and they do not see those posts because FB algorithms don’t allow them to, users will stop using FB. FB will not be perceived as a reliable way to get those posts. Why doesn’t FB doesn’t just let users manage their newsfeeds themselves? Aren’t there tools for hiding, sharing, reading, skipping? Why can’t users decide what they want to see? I think Facebook is more concerned about people deserting the network because of a noisy stream full of spam, so they are trying to tweak it to remove certain things and highlight others. But that’s a double-edged sword for sure. Thanks for the comment.